Once again, my Vulcan side wants to take the logical approach. We need to make this performance art more relatable, so let’s look at how the others make themselves relatable. I already wrote in Part 1 how audiences get to share in an actor’s or singer’s experience. That connection is important. I think another important factor is the purpose behind the performance. An actor’s purpose for example is ultimately to entertain their audience, whether that’s through comedy, horror, drama, etc. They portray a character and bring a story to life, all for the entertainment of the audience. They need that audience to fulfill their purpose. A dancer’s purpose can vary, though one general thing popping into my head is a dancer’s purpose is to connect movement to music in a way that’s rhythmical and inspires an emotional response. You don’t need an audience to do that because even the inspired emotional response can come from the dancer. So I think the first step for dancers to take if we want to make our art more relatable to the audience is include them in our purpose. If a performing dancer is only considering the dance itself and their own experience, the audience will find it harder to connect. In my competition routines, moments to connect with the audience are actually included in the choreography. Whether it’s simply facing the audience so there is opportunity for eye contact or a gesture in the arm styling that invites the audience to come along with us, connection with the audience is one of the factors used in designing the routines. The dancing isn’t dependent on the connection with the audience however. Moments when Teacher and/or I face the audience are also moments meant for us to face away from each other. The routine is just as good in an empty studio as it is at a competition, but the point is we create space for the audience to connect with us, should they be present. Being open to the audience sharing in the dance experience and being clear about what story or message that dance is conveying will have a huge impact on the audience’s ability to relate and connect to the dancer. I emphasize owning who you are as a dancer, but that doesn’t mean you isolate or cut yourself off from others. You can step onto a dance floor or a stage in full ownership of who you are, and also be open and inviting to your audience to join you on the journey you’re about to start. I think there needs to be a purpose beyond the dancer for their movements in order for the audience to relate. Thinking back to that story about the b-boy, I would want to know why he wanted to do a whole series of power moves instead of just one. If it was only because he loved those moves or loved how he felt doing those moves, and there was no additional purpose, message or story, then I would agree that the audience wouldn’t understand. They can’t relate to the skill or technique it takes to execute those moves, so their connection to the dance won’t come from there. It will come from the message or story driving those moves. At the end of the day, if we’re talking about dancers getting paid to dance as much as A-list actors get paid to act (which was part of the original question posed to the panel on the podcast), then they need to make their purpose similar to an actor’s and entertain their audience. Certain actors get paid millions of dollars for their work because the collective audience market will pay that much for those actors. Entertained audiences will ask for more. Confused or uninspired audiences will go home and watch Netflix. That doesn’t necessarily mean dumbing or watering down a dance performance, but it does mean including the audience in the creation process. Gene Kelly did groundbreaking and innovative work in choreographing dances for the camera. He didn’t create a dance and then film it. He designed the dance to work with the film equipment and be enhanced by these non-dance tools. In doing so, he was able to create a connection with an audience who wasn’t present at the time of performance. The camera represented the audience and he was sure to include them. The other possible connection an audience can make is to the dancers themselves. 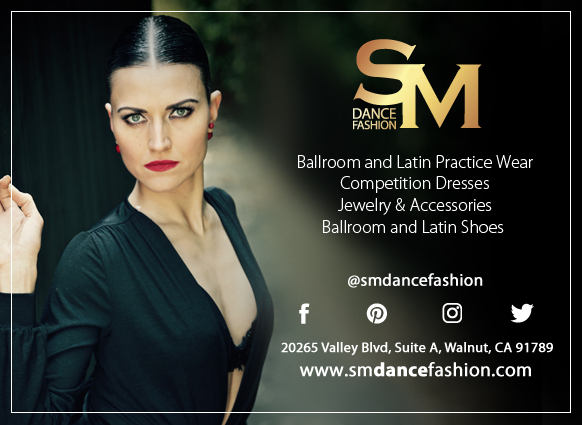 I’ve been drawn to ballroom dancers at a competition who weren’t the best dancers on the floor, but something about the person made me feel connected. That something is always their authenticity. It bothers me when I see an overly rehearsed performance. Even professional ballroom dancers are guilty of putting on two to three facial expressions on repeat throughout their performance. Closed-mouth smile. Open-mouth smile. Closed-mouth smile. Open-mouth smile. Are you enjoying the dance or slowly gasping for air? When a dancer is truly in the moment, letting their natural expression come through, and is inviting the audience to share in what they’re feeling, that creates a connection for me as an audience member. Their smile makes me smile! Their fierce expression makes me feel fierce. I’ve had complete strangers come up to me at a competition to say they loved watching me dance. They weren’t dancers, and still, I was able to connect with them on some level that made them want to keep watching AND seek me out afterwards. So maybe that b-boy could do his series of power moves if he was also able to communicate with the audience about how much he enjoyed doing those moves. Then, the audience could connect with his joy and sense of fun. This is starting to get long enough to need a Part 3, so I’ll conclude here. If we want people to be able to relate to and connect with our dances, we have to first be open to that connection by being authentic and inviting our audience in. We have to dance for more than just ourselves; we have to dance for them too. With more and more dance showing up in our movies, tv shows, and even commercials, now is a great time to make these shifts. If Gene Kelly could create a 17-minute ballet sequence in An American in Paris that moviegoers ate up, then I think dancers today can easily attract more audiences to their art form. Maybe we just need the next Gene Kelly to step up and show us how it’s done. Is that you?